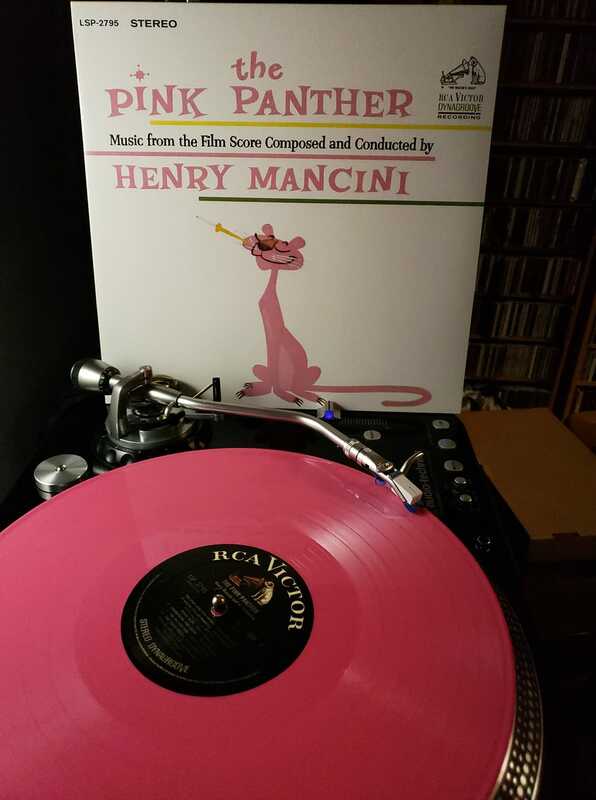 Pink Thing of The Day: Pink Panther Soundtrack LP on Pink Vinyl! 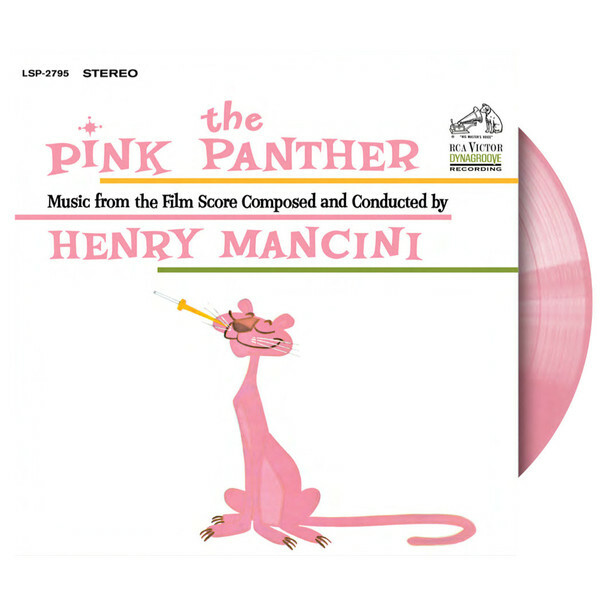 The 50th Anniversary of The Pink Panther – Music from the Film Score Composed and Conducted by Henry Mancini will be commemorated with the release of a limited edition, individually numbered 12″ PINK VINYL LP created for Record Store Day, 2014, celebrated at independent record stores worldwide on Saturday, April 19th, 2014. Mancini’s indelible “Pink Panther Theme,” first heard in the archetypal ’60s crime caper comedy starring Peter Sellers and directed by Blake Edwards, is, in the current digital era, the #1 most-streamed song in the entire Sony Music catalog. The original Pink Panther soundtrack album was given a Grammy Hall of Fame Award in 2001 and is being expanded for a 2014 50th Anniversary Edition to include bonus material. An 11 CD deluxe box set comprising the best of Henry Mancini’s classic film soundtracks is in the works for 2014, while a retrospective tribute, featuring catalog and new recordings of the composer’s unforgettable songs, is currently under development with details TBA. Born Enrico Nicola “Henry” Mancini in Cleveland’s “Little Italy,” the quintessential American soundtrack composer entered the music industry at the end of World War II, becoming a pianist and arranger for the newly reformed Glenn Miller Orchestra in 1946. By the mid 1950s, Mancini had written music for more than 100 movies, from “The Creature from the Black Lagoon” to Orson Welles’ “Touch of Evil.” Mancini’s score for “The Glenn Miller Story” earned him his first Academy Award nomination; out of his 18 nominations, he’d win four Oscars. Throughout his career, he released close to 250 album titles and scored more than 190 films. Henry Mancini composed music that’s woven into the fabric of American pop culture: The Pink Panther Theme, the “Peter Gunn” bass line, “Moon River” (from Breakfast at Tiffany’s), “Days of Wine and Roses” and more. Mancini holds the record for most Grammy nominations (72), out of which he won 20. In addition to his four Academy Awards, he won a Golden Globe, secured two Emmy nominations and was honored in 2004 with a United States Commemorative Postal Stamp.